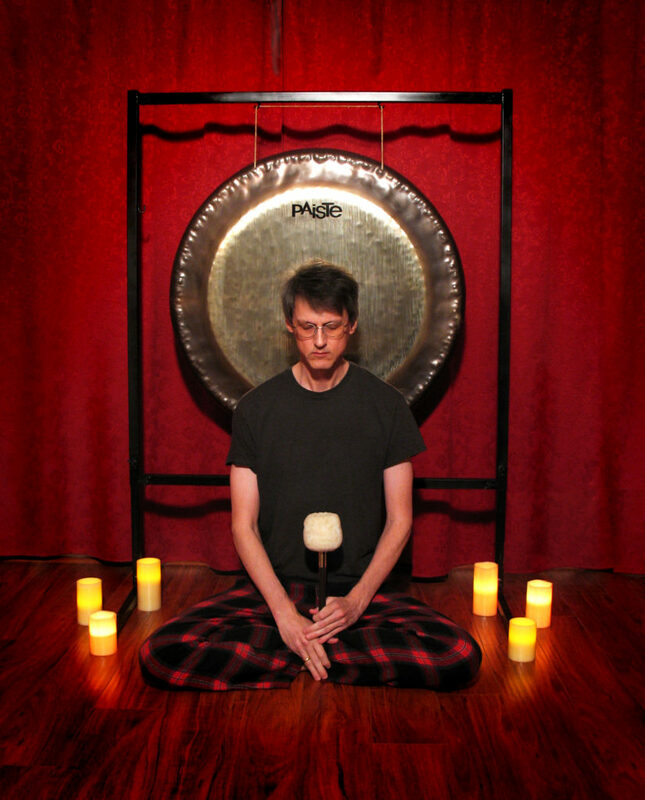 GONG BATHS with Erik Deutschman! The time is now to reconnect to the deep resonance of the source that holds the whole of the universe together. The oldest engineered instrument in the world, the gong has been used as a meditative and healing tool for over five thousand years. The vast vibrations of this ancient instrument penetrate the soul and body in powerful and different ways impacting the nervous system, and slowing the heart, brain and respiration rates resulting in a state of deep relaxation. As the sound envelops you it activates the alpha and theta brainwave frequencies that are associated with meditative and peaceful states of mind. Giving yourself over to the power of the gong can be beneficial in addressing emotional blocks, oppressive thoughts, insomnia, anxiety and depression. When used as an advanced mediation technique it aids in the expansion of consciousness, inner exploration and self-discovery. The gong is a gift from the heavens that stimulates movement of energy to rejuvenate, enrich and inspire creativity in all of us. A profound interaction happens between the gong and the individual’s mind that makes every gong bath different and one of a kind. I would love to use this gift to provide the means for you to be a better you. Contrary to what the name suggests there is no water involved in a sound bath. Participants simply wear comfortable clothing and recline on a yoga mat, towel or blanket. Some choose to use an eye pillow to block all extraneous light. After an introduction and some simple relaxation techniques the playing starts using a 36” Paiste Symphonic Gong. A variety of mallets are used in a conscious and intuitive manner to produce a perpetually changing soundscape for about 50 minutes. Different frequencies, overtones and harmonics build together and transform the space and the mind. Relax and simply listen and let the gong waves carry you off on your own unique experience.